Well-controlled diabetes contributes to a healthy mouth. If you have poorly controlled or high blood sugar, your risk increases for dry mouth, gum disease, tooth loss, and fungal infections like thrush. 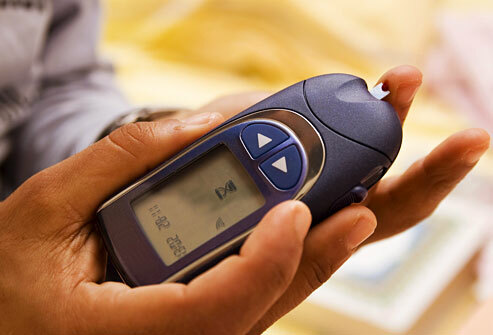 Since infections can also make blood sugar rise, your diabetes may become even harder to control. Keeping your mouth healthy can help you manage your blood sugar. Learn more about what the American Dental Association has to say about smiling and healthy teeth. Learn more about what the American Dental Association has to say about aging and your oral health. These days, it seems like everybody is going non-stop. But just because you’re busy or traveling - whether for work or play - that’s no excuse for neglecting your daily dental care routine. One of the easiest ways to maintain oral care on the go is to carry a small container of floss with you. If you’re hiking or camping and want to travel light, floss takes up less space than your electric flosser. A variety of products make oral care easier when you are traveling or time-strapped. Soft flosses, such as Oral-B’s Satin Floss, can be used by anyone. They slide easily between the teeth to make flossing faster and easier. Also, interdental brush cleaners, made of nylon bristles and narrow enough to fit between teeth, combine brushing and flossing for surfaces between the teeth. If you are hiking, camping or traveling where space is at a premium, buy a small travel toothbrush that folds up. The brush will stay clean and it will take up less of your valuable space. Another point: If you’re going to be traveling for an extended period of time, and especially if you will be traveling overseas or in the wilderness, be sure to schedule a checkup with your dentist before you go. The last thing you want is a dental health problem to erupt when you are far from reliable dental care. Problems can still occur, but you can reduce the risk by being as prepared as you can before you travel. Learn more about what the American Dental Association has to say about dental care for senior citizens.